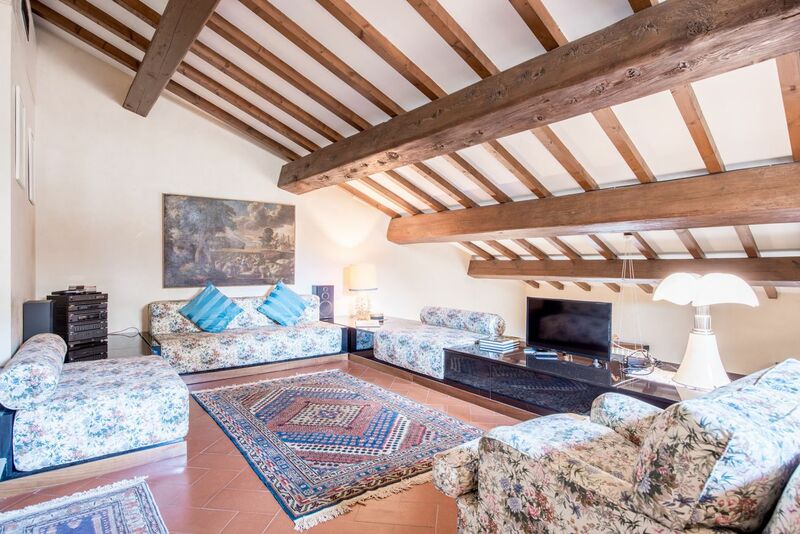 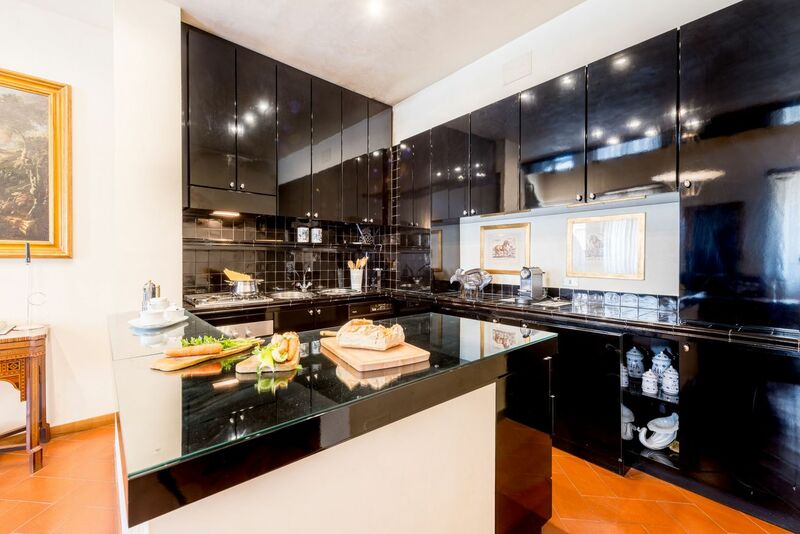 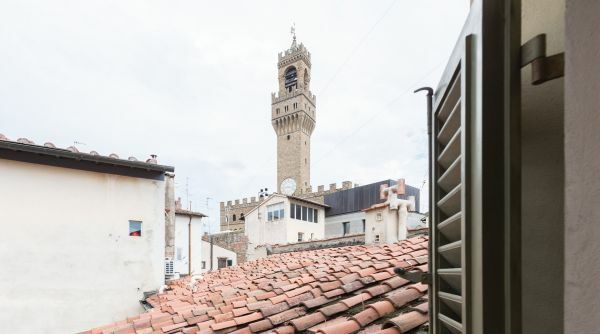 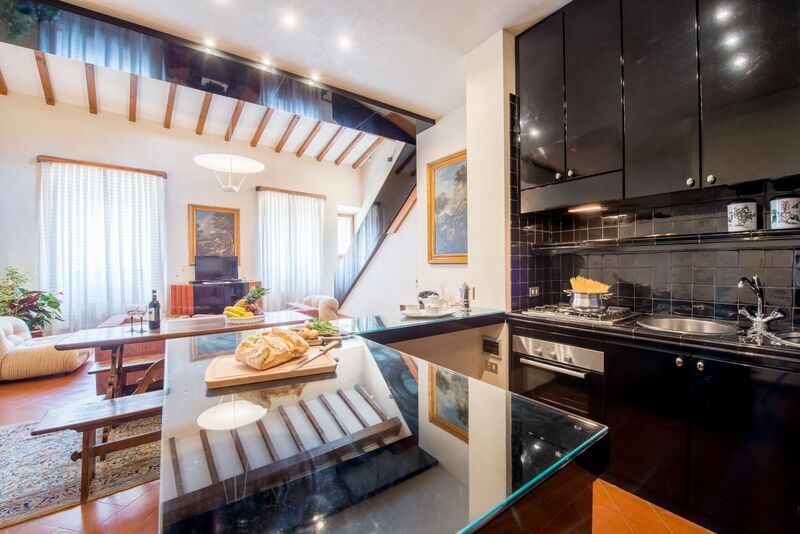 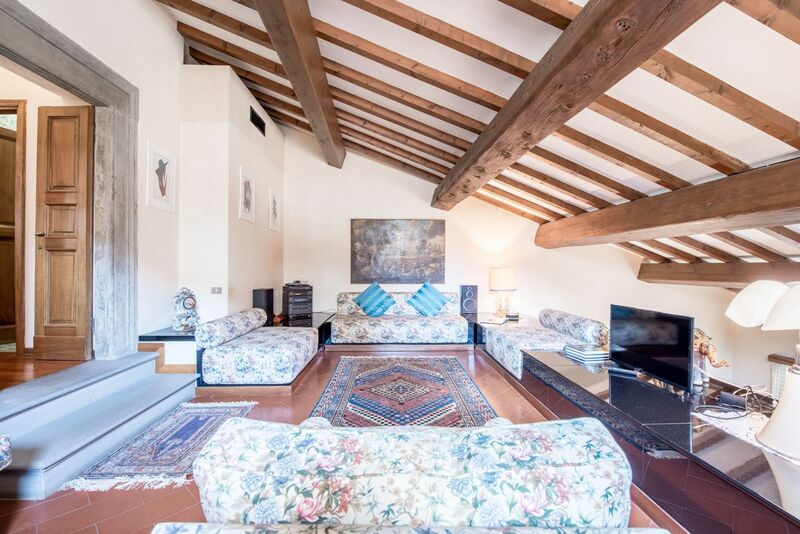 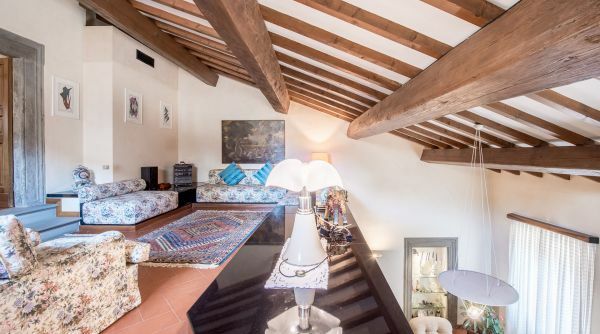 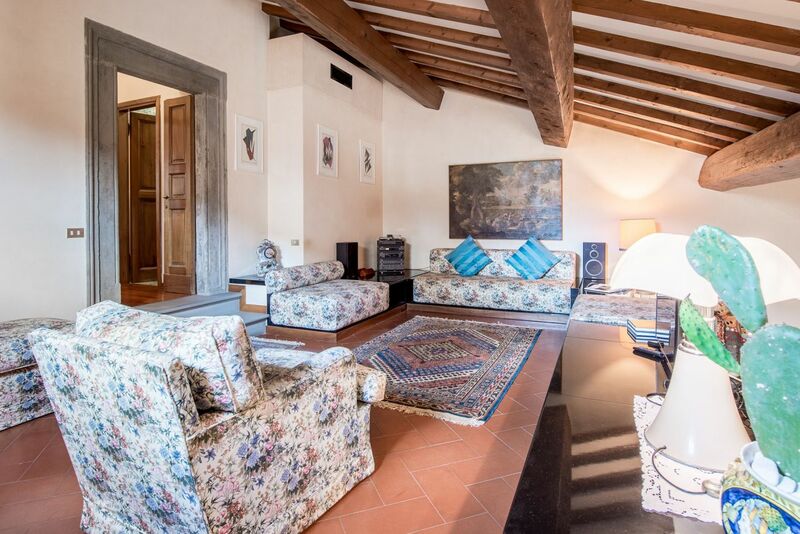 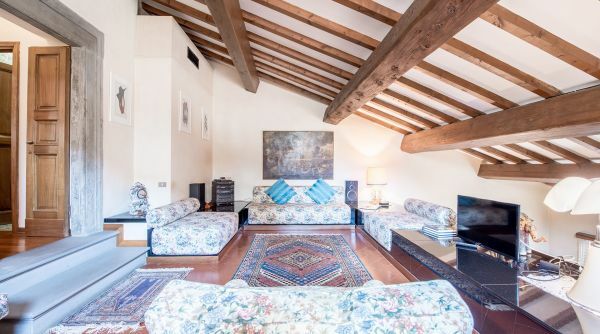 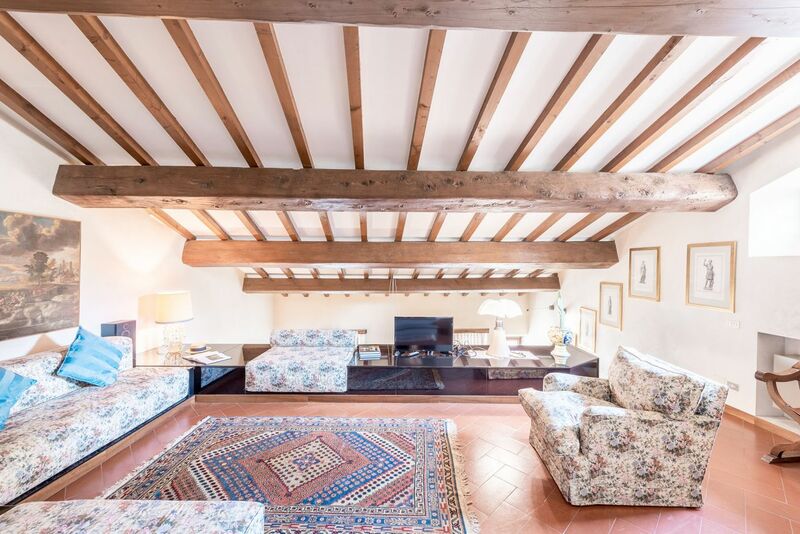 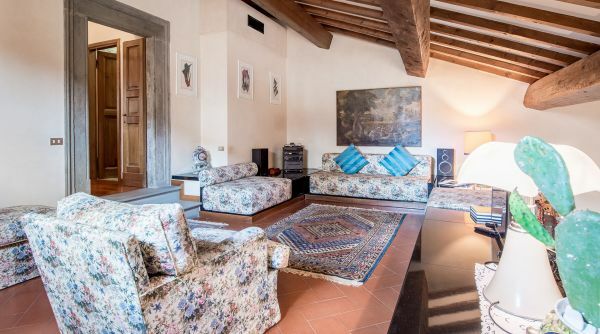 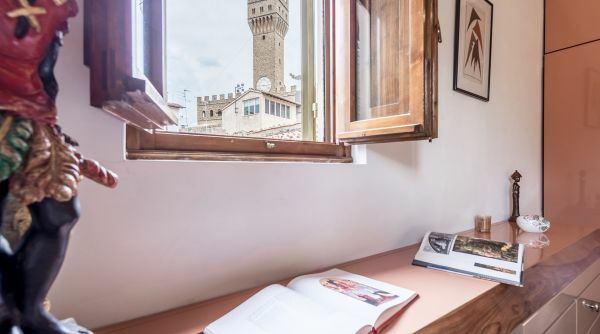 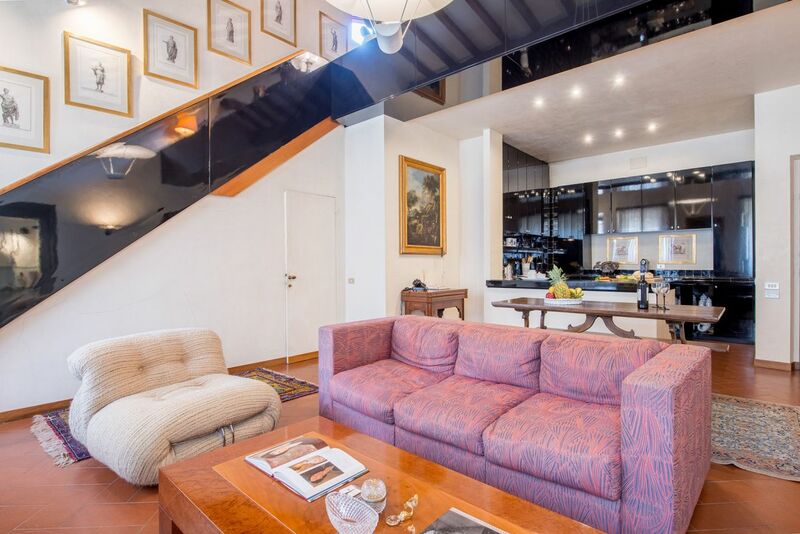 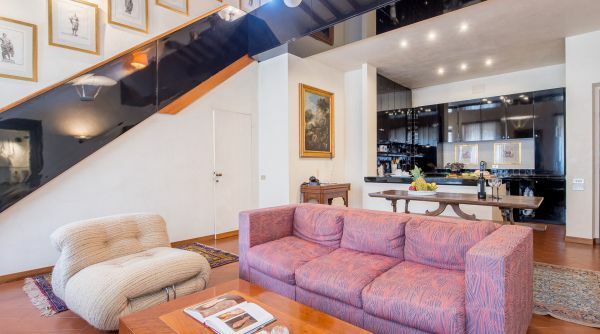 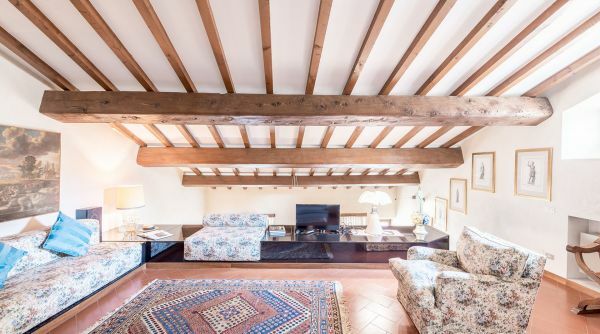 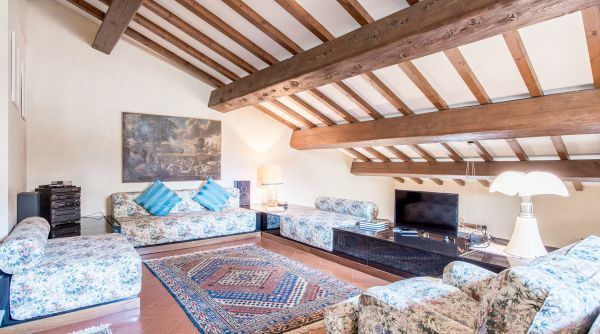 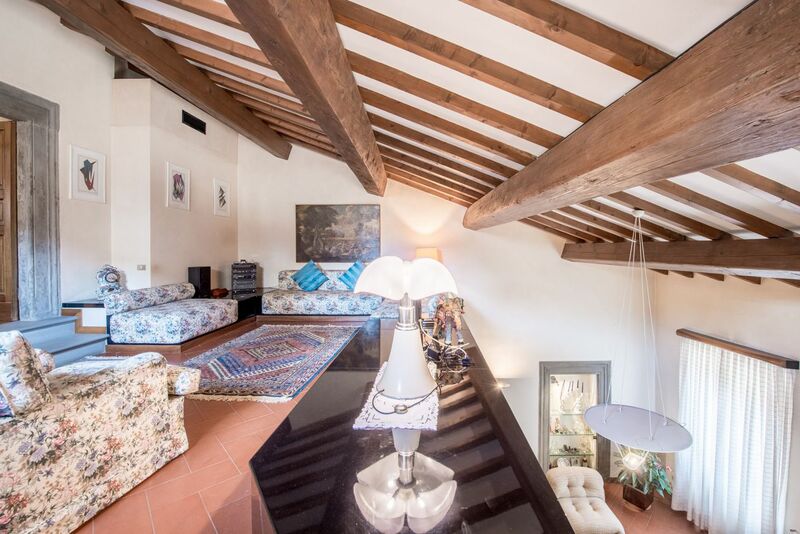 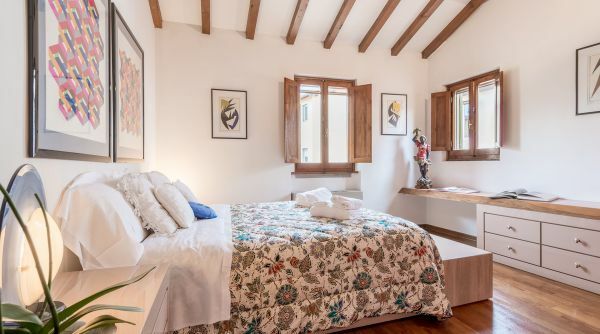 Prestige Signoria is an apartment in Florence located in the center of the city with lovely views of the beautiful tower of Arnolfo and glimpses of the entire Palazzo Vecchio. 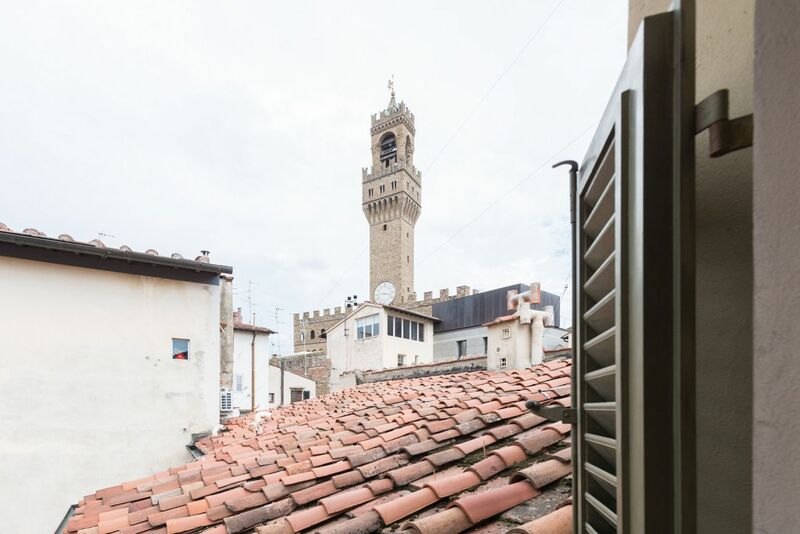 Furnished with style and care for details, it's equipped with everything you need to spend an unforgettable stay in Florence. 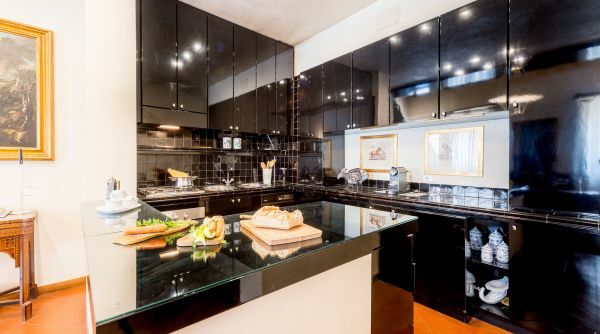 As you get in, you will be in the beautiful living area and you will immediately notice the splendid glossy black kitchen that reflects and rounds all the spaces of the lovely living room; on the same floor there are the dining area and a small bathroom. 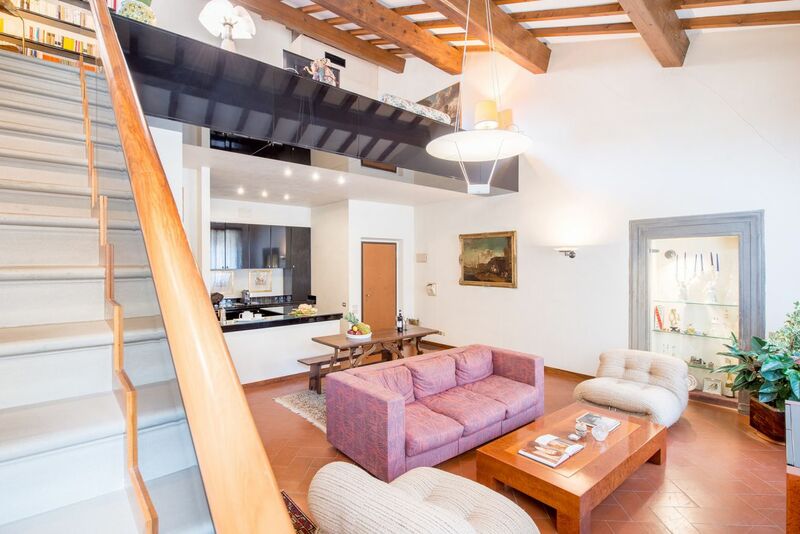 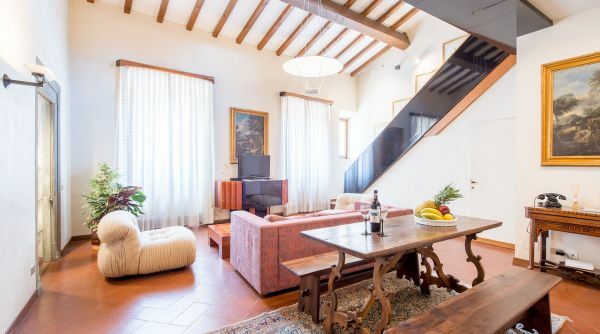 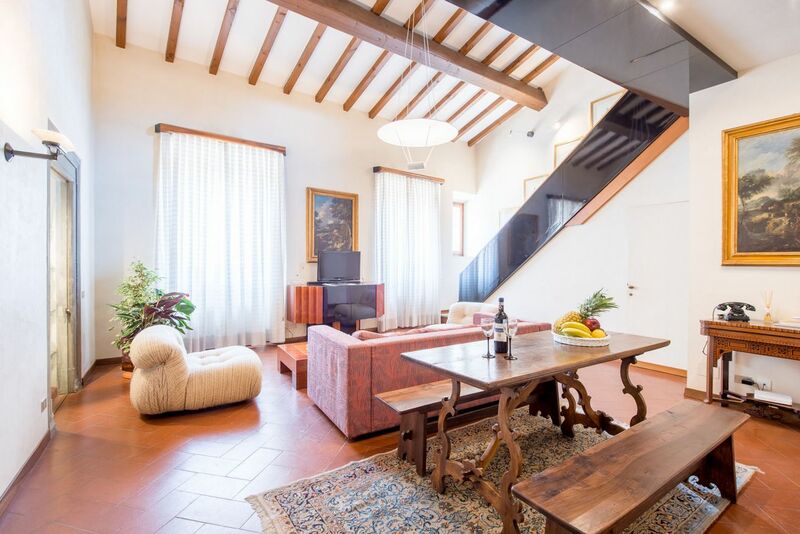 A staircase leads to the second living room, a relaxation area with TV and sofas where you can enjoy the magnificent views of the Renaissance Florence. 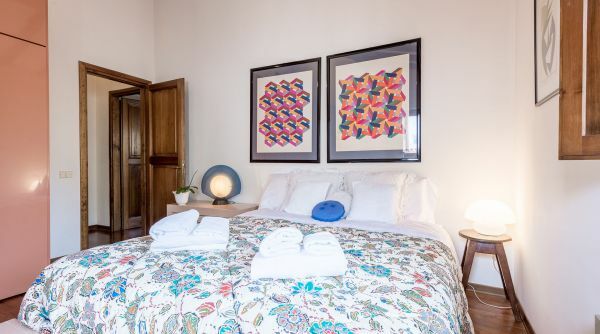 From here you can go to the bedroom area, where are two comfortable double bedrooms with view, and a big full bathroom with shower. 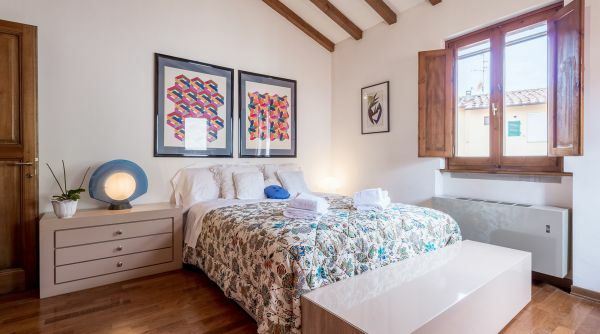 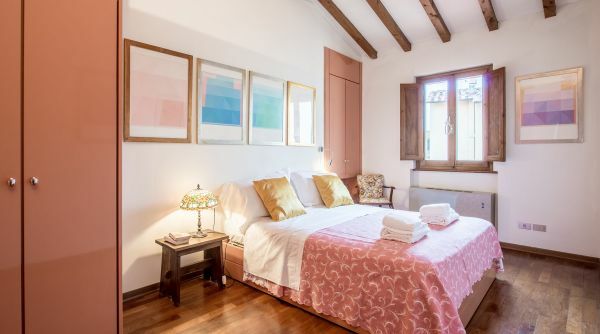 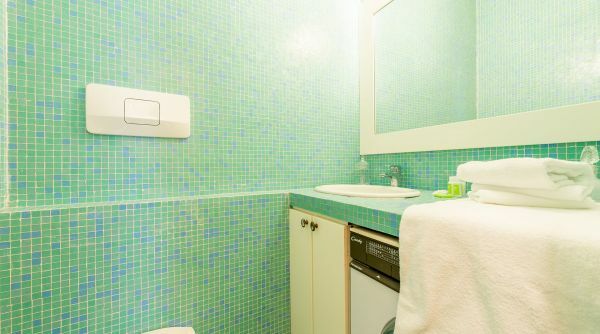 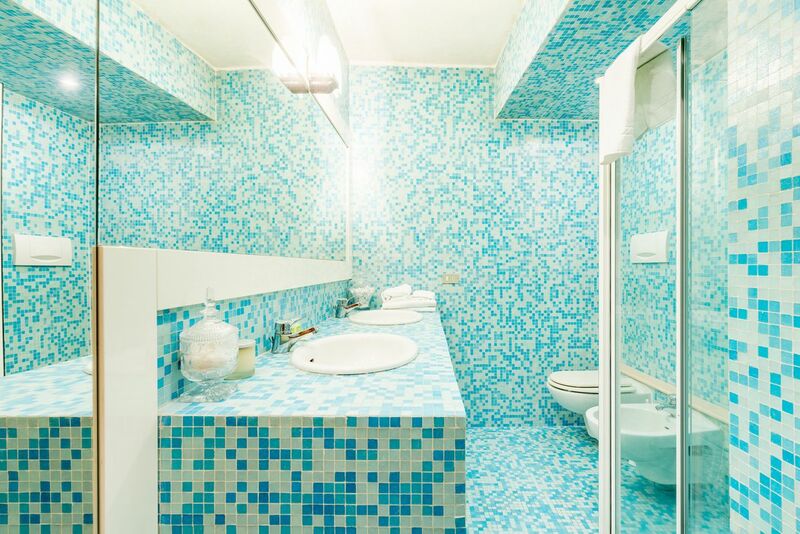 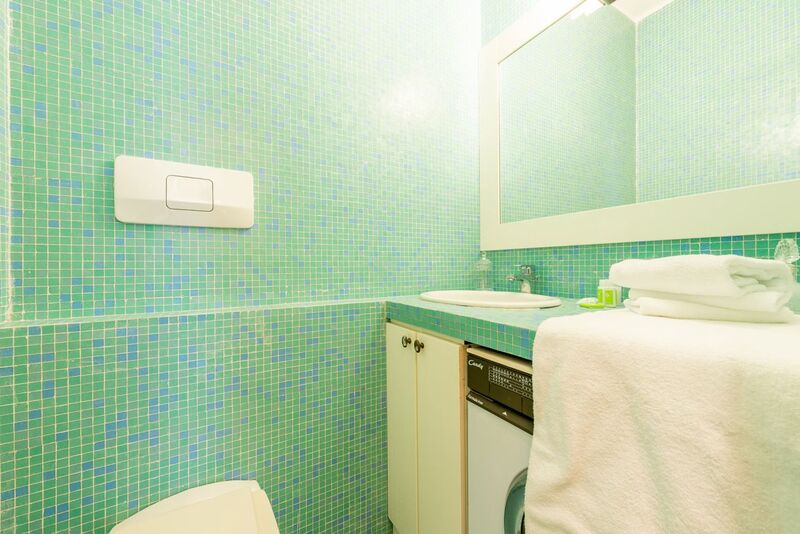 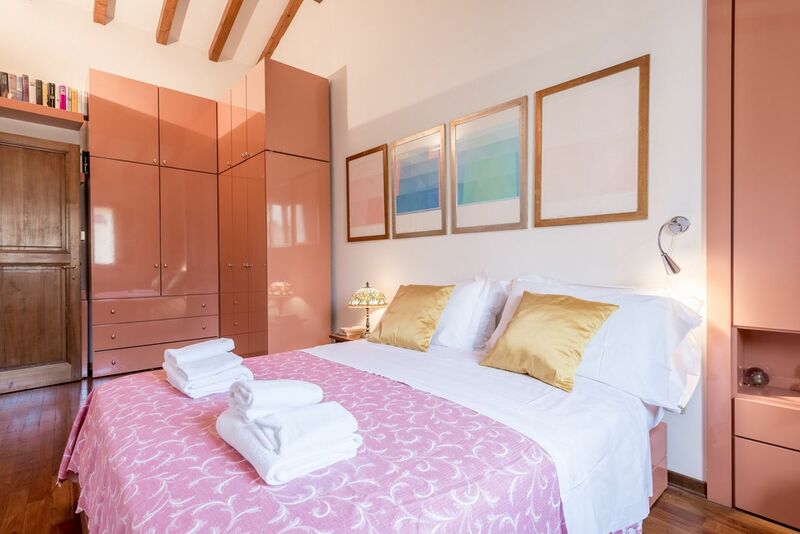 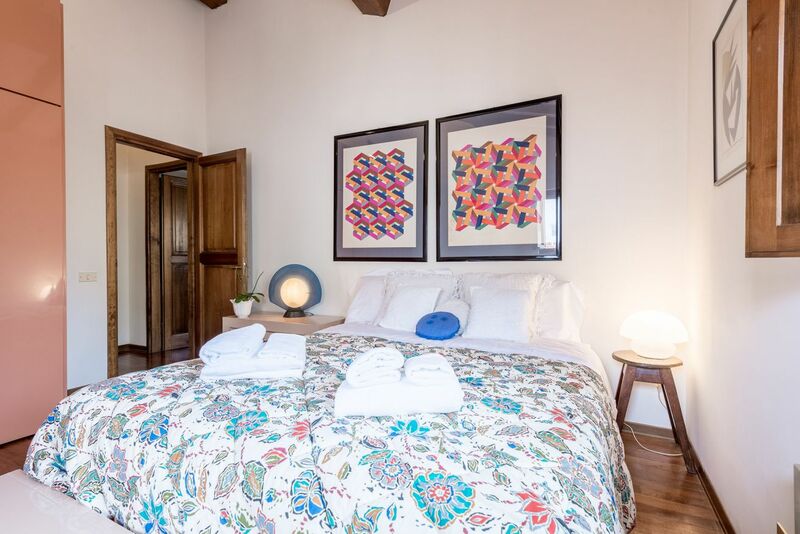 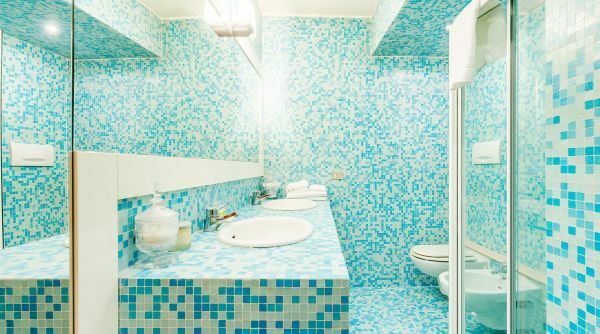 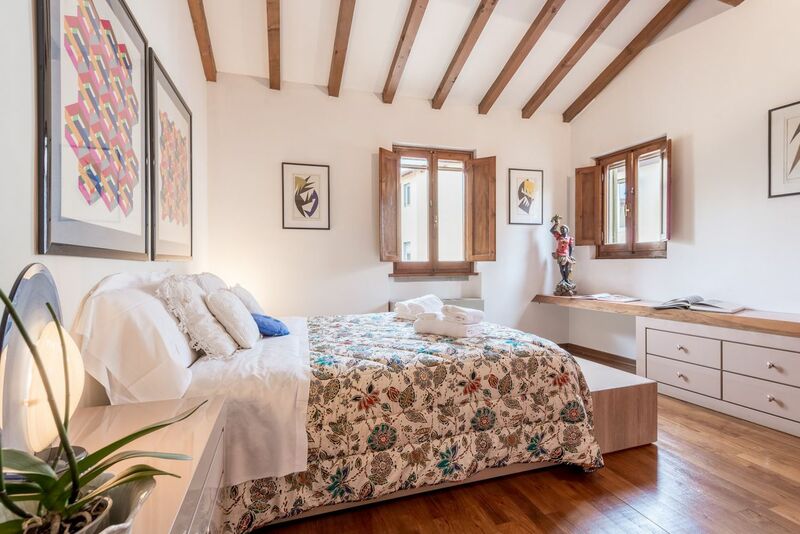 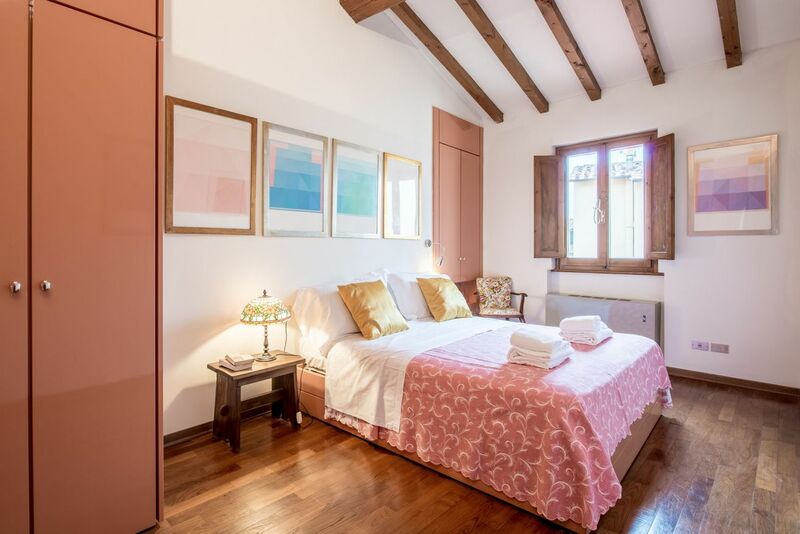 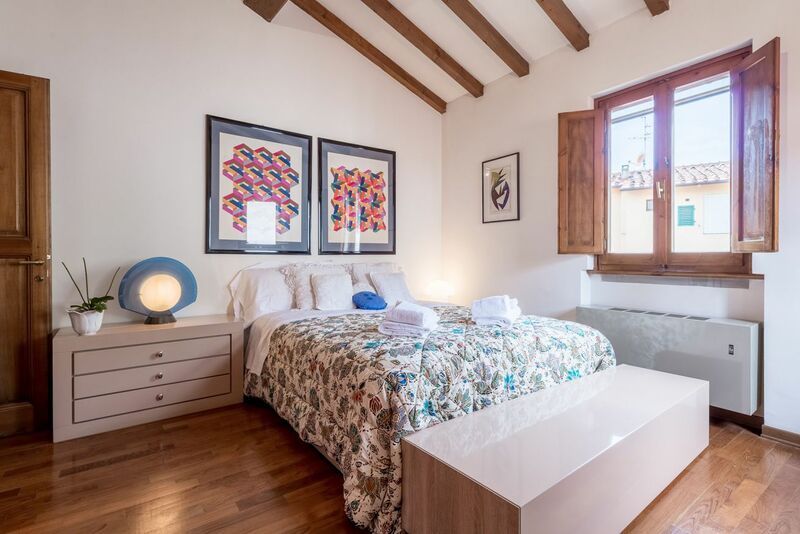 The apartment Prestige Signoria can accommodate up to 4 guests and is provided with elevator, internet Wi-Fi, air conditioning and central heating. 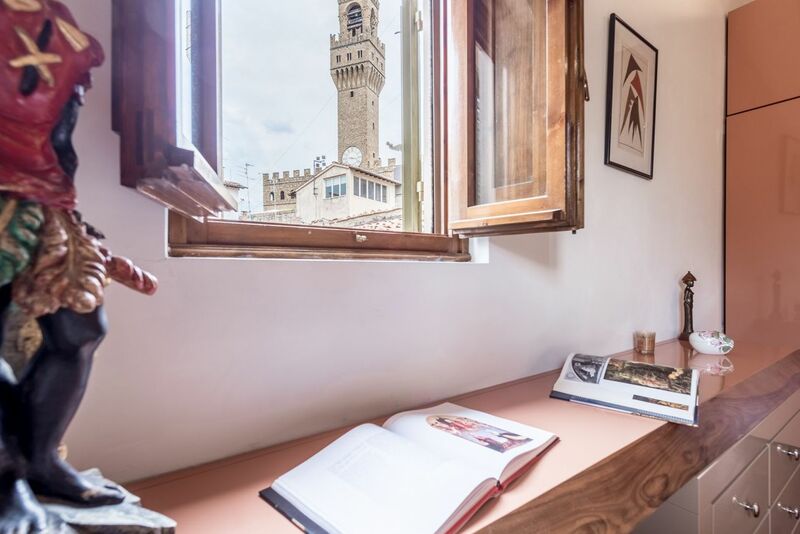 The apartment Prestige Signoria is located into the heart of Florence, just two steps to all the monuments and museums of the city. 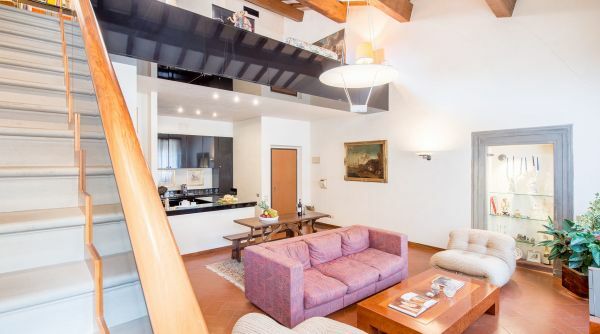 It takes less than 5 minutes walking to get to Ponte Vecchio, the Uffizi Gallery, the Duomo and Piazza della Signoria: hardly you will find a better positioned house! 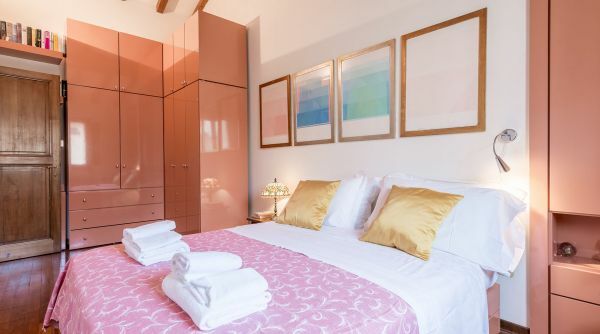 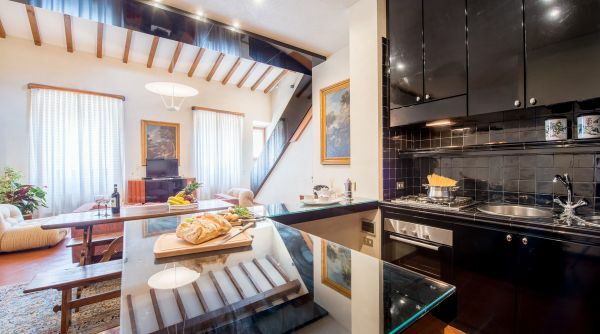 Capable to accommodate up to 4 guests, this is the ideal home for a family or two couples who want to visit the city and enjoy a very special location.